8 braid ICE BLUE™ Combo rope. Ideal for any application requiring a durable combo rope that can hover near the water's surface. 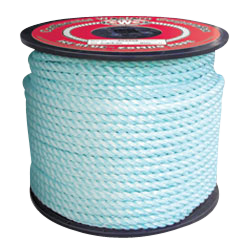 Works effectively as high-strength mooring line, tow line, head rope or barge lines. 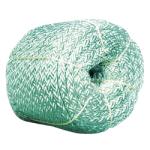 Manufactured from high strength BLUE STEEL&TRADE; fibers wrapped with polyester yarns.